Info about panzer & other vehicles related parts. 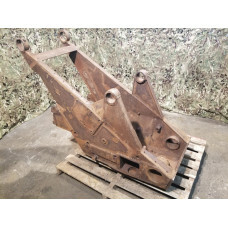 Up for sale original stand leg from 28 / 32 cm Nb.W 41 launcher. Each launcher system were equi..
Up for sale Wehrmacht jerry Can 20 Liter, made by ABP.ABP - AMBI BUDD PRESSWERK G.m.b.H. 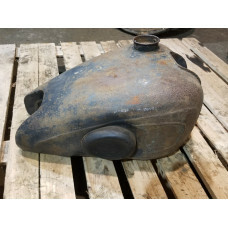 this compan..
Up for sale original WWII German army motorcycle fuel tank. 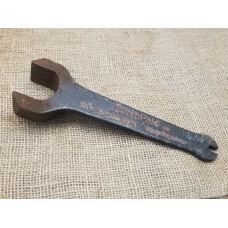 Those tanks were used on NSU ZDB 20..
Up for sale original WWII period combination wrench tool for Browning .50Cal. Were specially de..
Up for sale cleaning brush from german 10.5 cm howitzer Le.F.H. 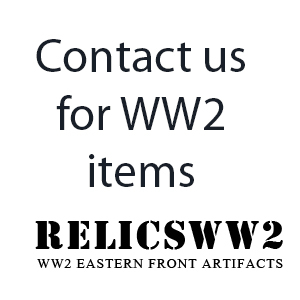 18.were used on Le.FH 18/2 and 10.5c..
Up for sale shell casings extractor from 10.5 cm German field howitzer LeFH 18. 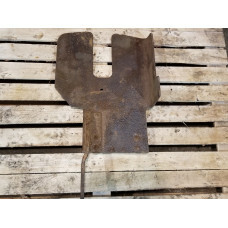 Close to mint -..
Up for sale superstructure part from Sd.Kfz 124 "Wespe" Wespe quite rare (only 662 units were b..
Up for sale original gunners armor shield from German 2cm AA gun - Flak 30 model. 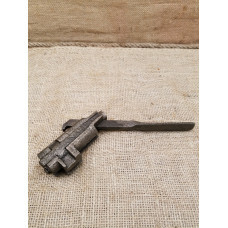 Nice ground d..
Up for sale German 2 cm AA gun flak 38 broke shells extractor tool. 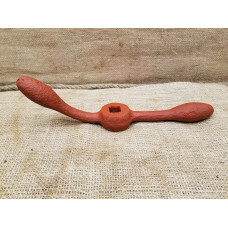 Quite nice ground dug found..
Up for sale original stand lafette for German 3.7 cm Flak 36 and Flak 37 models.Ground dug found, cl..
Up for sale original handle part from German 3,7 cm AA gun flak 37. Each flak 3,7cm Falk 37 has..
Up for sale muzzle brake from German 3.7 cm Anti-aircraft gun Flak 43. 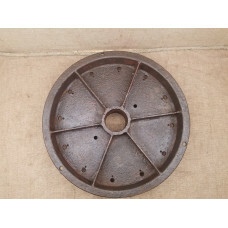 Late type which were use..
Up for sale gunners guard shield part from light AT gun PAK 35/36 .Were used also on IG 37 howitzers..